TAKE A WALK AROUND THE ALL-NEW ﻿﻿﻿﻿﻿2018 FORD ECOSPORT﻿﻿﻿﻿﻿. GET TO KNOW IT. BE UNSTOPPABLE. Standard Auto Start-Stop automatically cuts off the engine when you don’t need it. Like when you’re waiting at red lights or slogging through stop-and-go rush hour traffic. 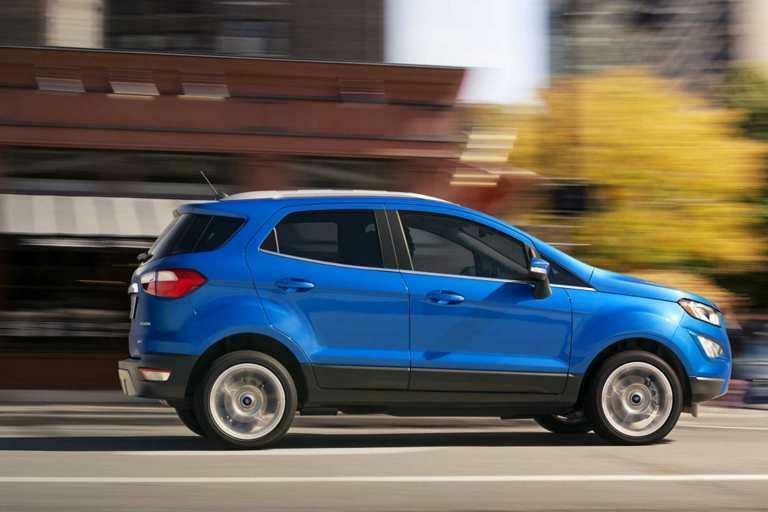 The engine is automatically and virtually seamlessly re-activated when you step on the gas in the EcoSport. Ford AdvanceTrac® with Roll Stability Control (RSC®)improves vehicle control on all driving surfaces. Hill Start Assist10 can prevent the car from rolling away when trying to pull away on an up or down slope. 10 Driver-assist features are supplemental and do not replace the driver’s attention, judgment and need to control the vehicle. 19 Remember that even advanced technology cannot overcome the laws of physics. It’s always possible to lose control of a vehicle due to inappropriate driver input for the conditions. 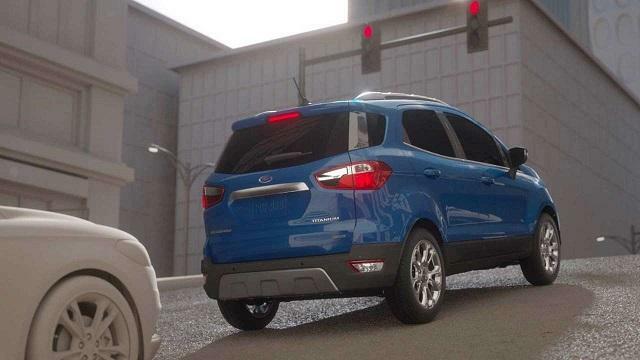 Choose EcoSport SES and you’ll enjoy a standard 2.0L engine, Intelligent 4WD and sport-tuned suspension. You’ll be embraced by bolstered sport front seats and surrounded by unique copper accents and bold, black exterior details. Our exclusive EcoBoost® engines have proven their exhilarating performance. 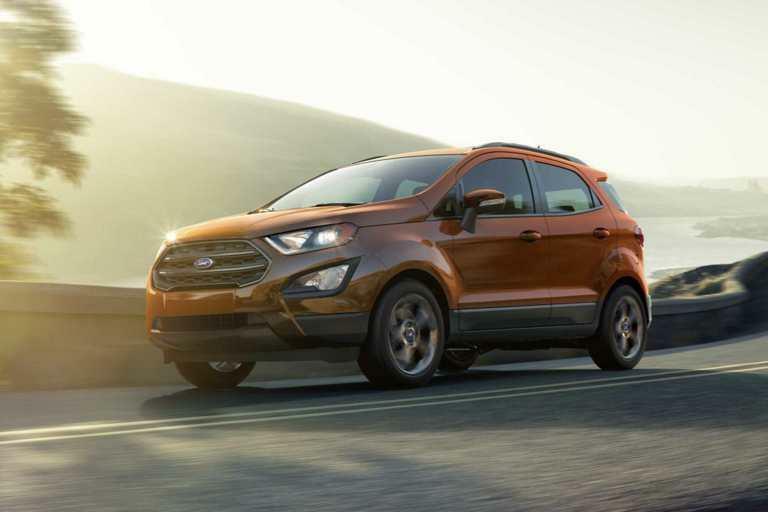 The standard 1.0L in the 2018 Ford EcoSport is no exception. Turbocharged with direct injection, it delivers more bang for the buck. 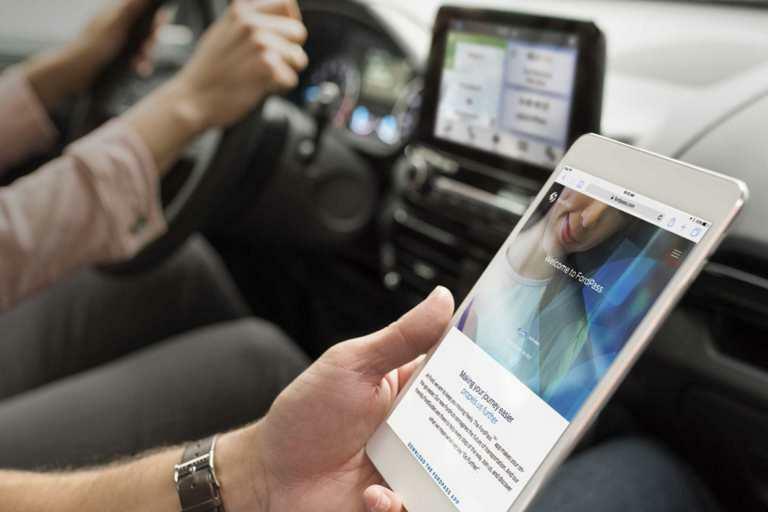 With available SYNC® Connect Powered by FordPass112 , Ford owners and passengers can enjoy an in-vehicle Wi-Fi hotspot. Up to 10 devices can connect at once. 112 FordPass Connect (formerly SYNC Connect) is an optional feature on select vehicles, and is required for certain features. 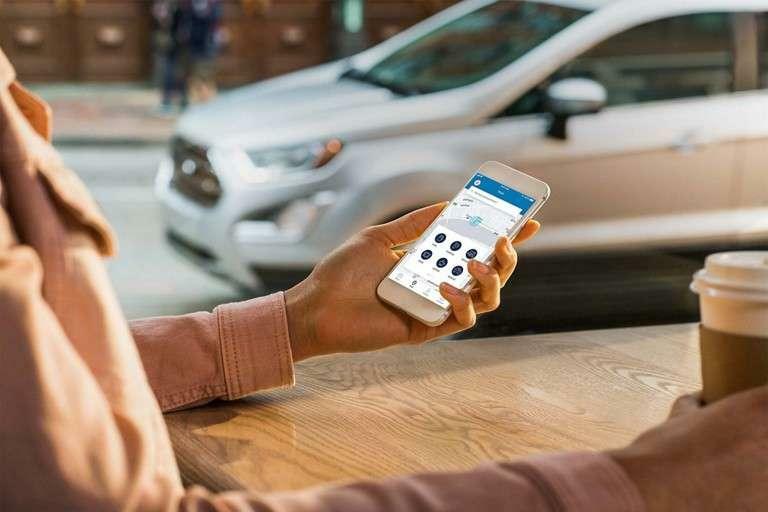 FordPass Connect includes a 1-year subscription for remote features excluding Wi-Fi hotspot, starting with the vehicle sale date (after which, fees apply). Subscription is subject to compatible 4G network availability. Evolving technology/cellular networks may affect future functionality. Certain restrictions, 3rd-party terms, and/or message/data rates may apply. 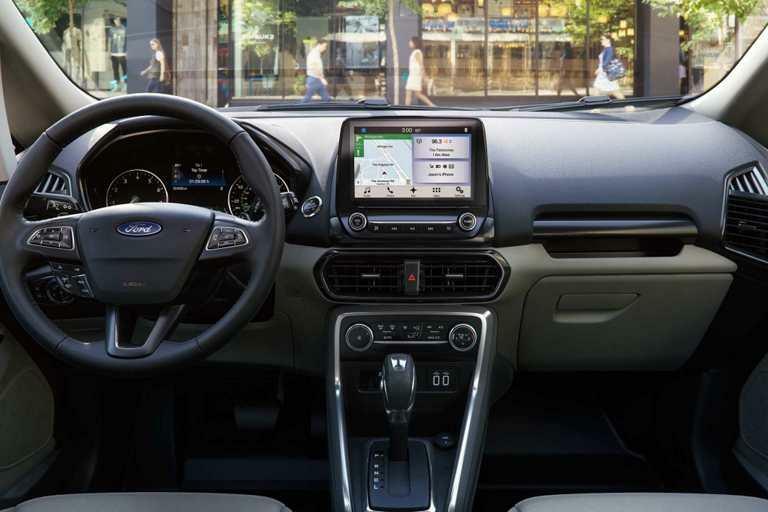 SYNC® 390 with Apple CarPlay ™ 111 and Android Auto ™ 110 compatibility offers enhanced voice-recognition capability and an available 8-inch colour LCD touchscreen with swipe capability on the EcoSport. 110 Available feature. Don’t drive while distracted. Use voice-operated systems when possible; don’t use handheld devices while driving. Android Auto is available on 2017 models with SYNC 3; owners of 2016 models with SYNC 3 are required to perform a software upgrade. Requires phone with compatible version of Android Auto and active data service. SYNC does not control Android Auto while in use. Google is solely responsible for their functionality. Message and data rates may apply. Android Auto is a trademark of Google LLC. 111 Available feature. Don’t drive while distracted. Use voice-operated systems when possible; don’t use handheld devices while driving. Apple CarPlay is available on 2017 models with SYNC 3; owners of 2016 models with SYNC 3 are required to perform a software upgrade and purchase a hardware upgrade. Requires phone with compatible version of Apple iOS and active data service. SYNC does not control CarPlay while in use. Apple is solely responsible for their functionality. Message and data rates may apply. iPad®, iPod®, iTunes®, iPhone®, Siri® and Apple CarPlay™ are registered trademarks of Apple Inc.Registered in the U.S. and other countries. With the FordPass™ app112, you have a Smarter Way to Move™. These are just some of the great things you can do with FordPass. 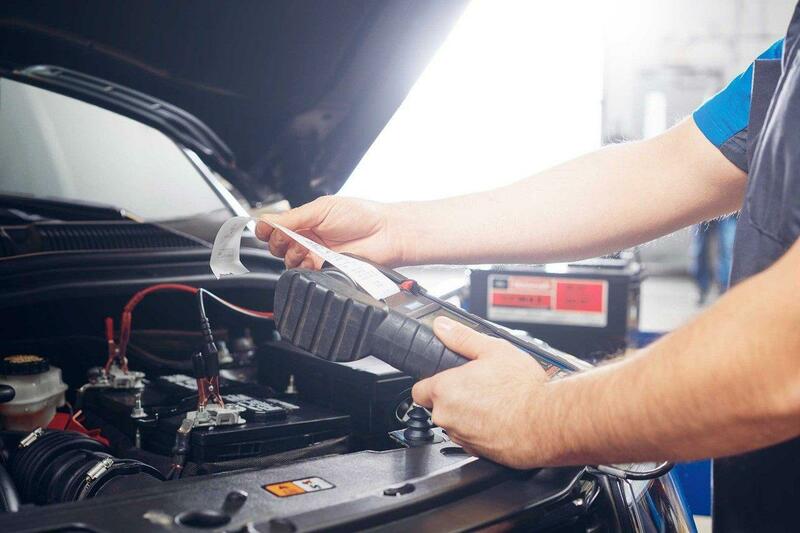 FordPass takes care of the details so you can just drive. If you haven’t already, download the FordPass app on the App Store97 or get it on Google Play98 . 114 Available in select cities. Some restrictions apply. 115 Roadside assistance is subject to your vehicle’s coverage and may not be available for all makes and models of vehicles. 97 Apple and the Apple logo are trademarks of Apple Inc., registered in the U.S. and other countries. App Store is a service mark of Apple Inc. Registered in the U.S. and other countries. 98 Google, Android, Google Play and the Google Play logo are trademarks of Google LLC. GET A GREAT VIEW OF THE ALL-NEW 2018 FORD ECOSPORT. CASL Check here to receive communications, including emails, from Merit Ford Sales , Ford Motor Company of Canada, Limited and The Lincoln Motor Company* about them and their products, services, events, news, offers, customized ads and more. You may withdraw consent at any time.